The process of owning a home can be tedious, stressful and frustrating. Call 925-8230 and let us at Affordable Homes Concepts Jamaica Limited negate the pitfalls of building on your own land by providing you the ease of acquiring your home. 1) Choose a unit from one of our many designs. 2) Deposit J$15,000 for site inspection to examine the terrain of your land, the soil type and accessibility, etc. (The inspection will be done within 14 days). This deposit is non refundable. 3) After site inspection and the property all necessary requirements, you then sign a contract with us to begin construction of your new affordable home built on your own land. It's always exciting to build a new construction home! Of course a process this big and expensive comes with a lot of stress and anxiety. You can help ease some of the stress of building a new construction home by simply planning ahead. Planning for a new home can take months or even years. Most people fortunate enough to be able to build a new construction home consider it their dream home, one filled with all the bells and whistles they've seen in magazines or admired on television. To make the home building process an exciting and fulfilling experience read as much as you can and do your homework! Spend time researching the latest building trends and materials. Talk to people in the real estate and home building industry, do extensive online research and ask lots of questions. In the end, you will be thankful you spent so much time preparing to ensure your new construction home really is a dream come true! Whether you're building a sprawling new construction home on land you own in Jamaica, a traditional two-three bedroom home or a cozy cottage in the country, please take a few minutes to read through these helpful tips for building a new construction home. Check references before signing a contract to build a new construction home. Building a new home on your own land in Jamaica does not offer the same convenience as buying an existing house. Not only do you have to find the land and if you already have the land the land will still need to be tested prior to construction, which will very likely not be in an existing neighborhood, you also have to factor in the time to find an architect or builder, and choose every element of the new structure. Joining an existing development can streamline the process, though it may limit your degree of choice. You also need to worry about systems, such as whether the land gives you access to municipal water and sewage, or requires a well and septic system, along with any environmental and other permits. The big advantage: You are much more likely to get exactly what you want. For many, this factor alone is enough to choose building over buying, but there are other advantages, too. Another perk? A new house built on your own land may literally be better for you. "A new home is less likely to have the health concerns or toxic materials of an older home – things such as asbestos, lead paint, mold, etc.," says Burtt. And it can be built with certain materials making it better for the environment. "Green appliances/Energy Star rated appliances, and more efficient toilets, plumbing fixtures and electrical fixtures allow you to build "green" for a more sustainable home in the long run. And you have the option to install, sleeve and/or wire for future technology upgrades, such as home automation and solar," says Burtt. Even though the upfront costs of construction in Jamaica can be higher, it may be easier to recoup your investment. "You can have more significant profits with the resale of your new home. A newer home is typically more appealing than an older home to most people," . In addition, a new home will require fewer repairs and less maintenance, which can save both money and time. Money and features aside, building a house can lead to a level of satisfaction that you can't achieve through buying an existing home. There is a definite feeling of an emotional connection to living in a new home that you have created and the new-home smell, no one else has stepped foot (or pets) on your carpet. This is your creation that matches your style and personality, that you had created from scratch. Below are questions we are usually asked. 3.1) CAN WE CHOOSE THE TILES FOR THE BATHROOMS AND FLOOR WHEN WE USE YOUR BUILD ONOWN LAND PROGRAM? The beauty with our system is that the client is fully involved with the fixtures and fittings used in their homes. While we have standard tiles that we use, the client can select from a wide variety. If the client wants something outside of the standard tile price range, they would simply pay the difference in cost. 3.2) CAN WE CHOOSE THE PAINT COLOURS? Yes! During our Home Consultation, we provide the client with a colour chart for their selection of up to two colours for the exterior and one colour for the interior. The client can add addition colours at an additional cost. 3.3) WHERE DOES YOUR KITCHEN COME FROM? Our kitchens are supplied and installed by Exotic Stone Creations one of the best supplier to housing contractors in Jamaica. These are wood cabinets (not Bagass) with granite countertops. 3.4) DO YOU HAVE A WARRANTY THAT COMES WITH THE HOUSE? 3.5) CAN YOU BUILD FROM MY FLOOR PLAN? We can take a look at you existing plans if you have and then quote what our costs would be to build using our methods. This is handled on a case by case basis. Please note that cost to build a house in Kingston Jamaica and a house in the country will differ. Nevertheless our build on your own land Jamaica program is not expensive as some of our customers have thought. 3.6) IF I WANT BIGGER BEDROOMS CAN I GET IT? Yes! All of our plans are fully customizable. Please bear in mind that modifications are based on land size, set-back rules and other conditions on your title. 3.7) WHAT’S TYPE OF ROOF THE HOUSE HAS? Our standard models all come with decorative Aluminum sheeting. 3.8) ARE SEWER SYSTEMS INCLUDED? 3.9) DO YOU BUILD WITH BLOCK AND STEEL? Yes! We do non traditional construction first and foremost using our Steel Track and Stud systems with PLYCEM. We also can build traditional units from block and steel. All our floor plans can be built from block and steel as well. 4.1) CAN I DO AN ADDITION TO THE HOUSE? Yes! Our system allows you to expand in any direction horizontally (Front, sides or back). Our PLYCEM units are not designed to expand upwards. 4.2) ARE THERE ANY HIDDEN FEES? There are no hidden fees. Outside of the house prices the only additional costs will be $85,000 which covers architectural drawings, site plans, engineering certification and Parish Council submission fees. The house prices presume flat, buildable land. If there are variations to your foundation plan and / or you choose additional options such as Water Tanks, Pumps, Water Heater, Sewer system and any other outside works, you will receive a full quotation before we sign a contract. Once we sign the contract, it will include all works to be performed and a final contract price. There is no escalation, except to account for the movement in the US Dollar exchange rate. 4.3) WHAT IS MY NEXT STEP? The first step is to give us a call and we will answer all your questions. We will then invite you to come into our office for a free Home Consultation if you are local. If you are not we will the set up a time for a free telephone consultation. We will discuss all the details of your land and together we will figure out your needs in a home. We will then generate a “Sight Unseen Proforma”. This will give you a fair idea of the cost to complete your home. Once you decide to move forward, you pay an $85,000 fee which covers architectural drawings, site plans, engineering certification and Parish Council submission fees. Once everything is as we discussed in the Home Consultation, we move forward to the contract stage. The house prices presume flat, buildable land. If there are variations to your foundation plan and / or you choose additional options such as Water Tanks, Pumps, Water Heater, Sewer system and any other outside works, you will receive a full quotation before we sign a contract. Once we sign the contract, it will include all works to be performed and a final contract price. There is no escalation, except to account for the movement in the US Dollar exchange rate. If you are seeking financing, this would be where you would speak with your lending institution to get that process started. Upon the requisite Parish Council approvals, we proceed to Construction. You will then place a 50% deposit of the contract price. We will then construct your Foundation, House Frame, Exterior Cladding and your Roof. At that point you will pay a further 30% of the contract price. We will then bring your unit to “Practical Completion” This means that all your bathroom fixtures and fittings are completed, the Kitchen is installed, tiling, interior cladding and ceilings are installed. Doors, windows, mouldings, locks and closets are also installed. You will then receive a certificate of Practical Completion by an Engineer. At this point you pay the final 20% and the unit is handed over to you within 10 days. It’s really that simple! Call 9258230 to speak with us about your affordable home construction needs. On this build on own land in Jamaica website you will also find info on build on own land Jamaica, housing contractors in Jamaica, building contractors in Jamaica, home builders in Jamaica, new housing development in Jamaica, and you know that there are a lot of National Housing Trust (NHT) Housing developments as well as private developments going on in Jamaica. New housing developments in Jamaica housing contractors, Build a house in Kingston Jamaica, how much to build a house in Jamaica and so on. Pre fab homes in Jamaica West Indies,Prefabricated homes Jamaica, and also Pre-fab homes Jamaica, we also mention prefab homes Jamaica and also Prefabricated houses Jamaica. 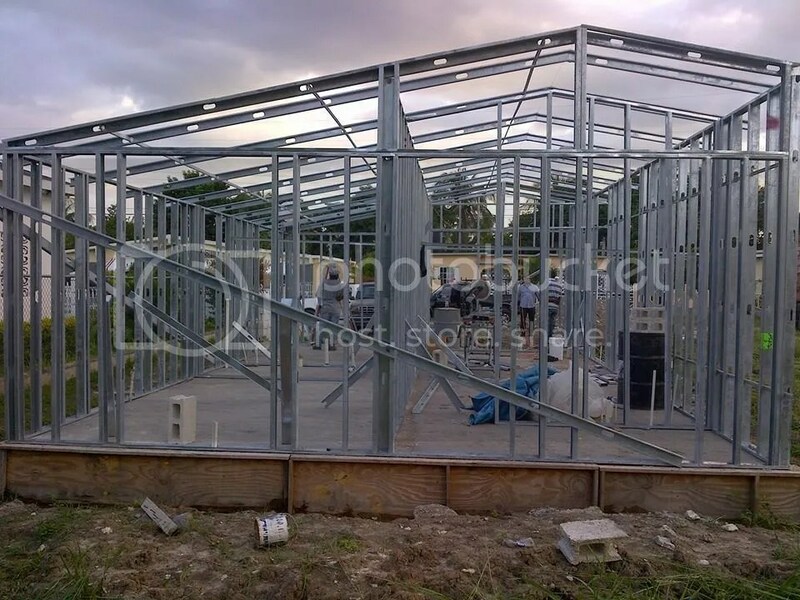 The Pre-fab houses Jamaica concepts and prefab houses Jamaica benefits and last but not least building contractors in Jamaica.